ATTENTION: Original Restoration Junkies!!! 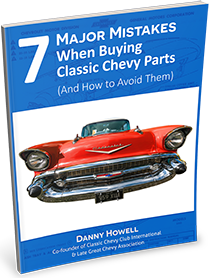 Here is the FASTEST and CHEAPEST way to get 1955-1970 NOS Chevy parts. In fact, whenever we a customer is looking for NOS parts that we don't have in stock this has become the first place we go to find affordable NOS parts. It is a GOLD MINE!